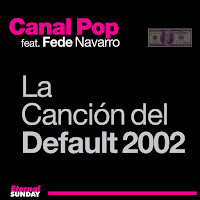 Eternal Sunday finally releases La Canción Del Default 2002, the first song ever recorded by the electropop project Canal Pop. Paradoxically for an artist so committed to releasing music in English for the international market, the first known song by Canal Pop was in Spanish, and it was about the financial crisis Argentina faced in 2002 when the country defaulted its sovereign debt. The song was played as a novelty in several FM radios in 2002 but was not properly released until now. 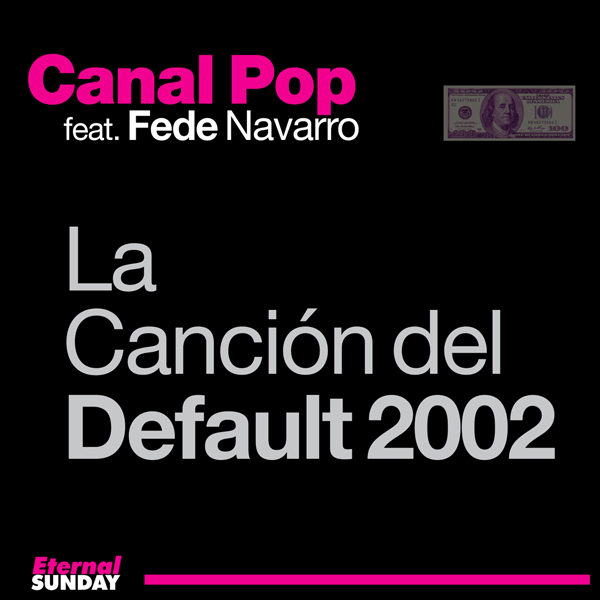 “La Cancion Del Default 2002” is also, up to this time, the only Canal Pop track sung by a man, Fede Navarro, currently living in Panama.